Since the inception of the original protocol, several modifications have been instituted to increase its efficiency. To reduce the amount of RNA needed, a modification named microSAGE was made, which required 500- to 5000-fold less starting input RNA. The new method utilized a single-tube format for all steps from RNA isolation to tag release in which the RNA—and later the cDNA—remained immobilized to the wall of the tube by means of streptavidin-biotin binding. Furthermore, total RNA was used instead of poly (A)+ mRNA, resulting in reduction of the number of manipulations and accompanying loss of materials. In addition, a limited number of additional PCR cycles were performed on ditags. 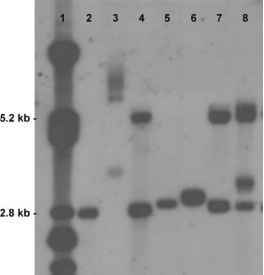 DNA polymerization (Clontech SMART system), which allowed the generation of PCR-amplified cDNA prior to the SAGE procedure. In PCR-SAGE, 900 pg of poly (A)+ RNA generated a library validated by the presence of transcripts expressed in human oocytes. In SAGE-Lite, starting with 50 ng of total RNA derived from cerebro-spinal tissues or HT1080 cells, first-strand cDNA was PCR-amplified to generate large quantities of ds-cDNA, which was utilized as a substrate for SAGE analysis. MiniSAGE and SADE employed procedures to diminish the loss of materials throughout the various steps, thereby allowing the use of only 1 mg of total RNA and 105 cells, respectively. Using an approach similar to microSAGE, a two-round PCR amplification of the DITAGS, and other minor modifications, a SAGE library was generated from a single PC-3 cell (scSAGE), but without adequate validation of results. Although the above approaches suggest that amplified transcripts represent the original DNA mixture, a general concern about using PCR for tag amplification is the potential tag bias during PCR resulting in distortion of the true transcript level, which is especially important for template transcripts present at low abundance, leading to them being underrepresented in the final cDNA population. Another modification, dubbed small amplified RNA (SAR) SAGE, employed linear amplification of small mRNA fragments containing the SAGE tags, which allowed for preparation of libraries of over 100,000 tags from as few as 2500 cells (or -50 ng of total RNA). The procedure is similar to classical microSAGE, but employs a T7 RNA polymerase-dependent transcription of the mRNA segment between the tag and the poly (A)+ tail, which allowed for synthesis of small mRNA molecules harboring the SAGE tags. For correctly identifying unknown tags, which contain —10 bases, and ascertaining that they are not due to sequencing errors, methods employing reverse transcription (RT) PCR and other techniques to recover longer cDNA fragments were also reported. A technical difficulty encountered in the original SAGE is that major products of PCR amplification are often linker dimers. By employing biotinylated PCR primers, biotinylated DITAGS were produced early on in the method, allowing removal of unwanted linkers by binding them to streptavidin beads at a later stage. To eliminate a small average size of cloned conca-temers, which decreases the efficiency of tag collection, a heating step was carried out at 65°C for 15 min, followed by a quick chill on ice for 10 min of ligated concatemers. This step resulted in cloned concatemers with an average size of 67 tags, compared with 22 tags obtained by the original protocol. Modified SAGE protocols that generate longer TAGS have been attempted. One method employed RsaI instead of the MaIII as the AE, which resulted in a tag length of 14 bases. In addition, this modification resulted in cohesive termini generated on cDNA tags for the ligation of both 5' and 3' linkers, allowing for higher efficiency in tag linker ligation and a lower possibility for linker dimer production. Another modification for increasing the tag length by 2-3 bp, which employed Sau3A as the AE, has also increased the potential for transcript detection. A technique dubbed as the generation of longer cDNA fragments from SAGE tags for gene identification (GLGI) extended the 10 tags to hundreds of bases long until they reached the 3' end of the cDNA. This method employed a primer containing the 10-base SAGE tag as the sense primer, and another single-base anchored oligo (dT) as an antisense primer in a PCR reaction, together with a pfu DNA polymerase. A procedure on that line, which also generated a 21-bp tag derived from the 3' end of the transcriptase called LongSAGE, utilized a different type IIS tagging endo-nuclease (MmeI). The longer cDNA fragment promises to permit a wider application of SAGE for quantitative analysis of global gene expression to complete the catalogue of expressed genes in humans and other species, to allow the identification of the 3' cDNA sequence from any exon within the gene, and to delineate the 3' boundary of expressed genes. The use of different reverse transcriptases could play an important role in generating more representative cDNA. Although initial SAGE cDNA libraries have been constructed with the Moloney murine leukemia virus (MMLV), reverse transcriptase RNase H~ reverse transcriptase (Superscript II; Invitrogen) was reported to generate as much as four times more cDNA from a similar starting material. Furthermore, improved reverse transcriptases such as Sensicript and Omniscript (Qia-gen), used for generating high-quality cDNA from a limited amount of RNA that have been more recently introduced, promise to increase the efficiency of cDNA production. To overcome intrinsic PCR amplification problems resulting in transcript misrepresentation, a method that does not employ any PCR amplification at any stage of the process and identified as TALEST (or tandem arrayed ligation of expressed sequence tags) was used. The method utilized a series of restriction (EcoRI, BsgI, and NotI) and punctuating (MspI) endonucleases, which acted on ds-cDNA, resulting in the production of an EcoRI/ NotI-tailed DNA fragment containing a 12-bp cDNA tag flanked at both ends by GC-clamped MspI punctuation sequence. These sequences were resistant to thermal denaturation, permitting their concatemeration into long arrays and their subsequent recognition and analysis by high-throughput DNA sequencing.